An authentic copy of a XVII century blessing cross prototype. 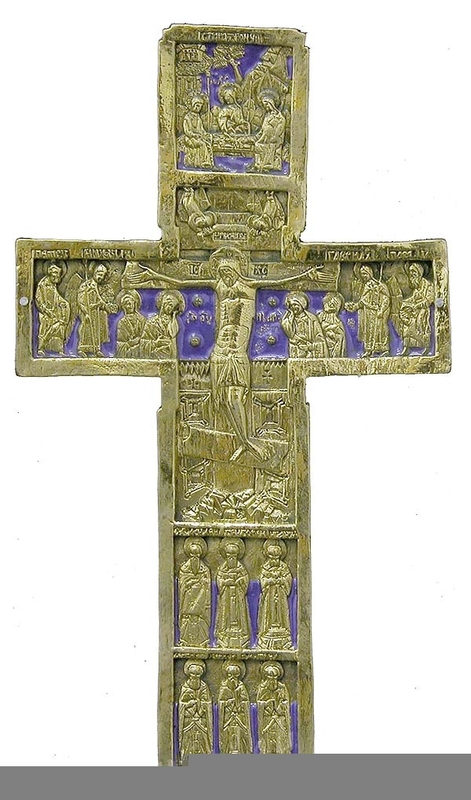 Brass, enamel, hand-casting and hand-polishing. Size: 4.9''x8.7'' (125x220 mm).